New York governor, Eliot Spitzer, signed into law today a bill to move the state's 2008 presidential primary. The bill (A.6430/S3544) moves the primary from the first Tuesday in March to the first Tuesday in February. Not only does it move one of the most delegate-rich states further toward that front of the pack, but it is seen as a boost to two of the leading candidates from each party. New York's junior senator and Democratic front-runner, Hillary Clinton, and current Republican front-runner and former New York city mayor, Rudy Giuliani would both stand to gain from this move. As the contest nears however, that view may change. Strategically, both candidates' opponents could opt to skip New York ceding many of the delegates to the favorite son/daughter and focus resources elsewhere. With the cluster forming on February 5, there will be no lack of alternatives to New York for the likes of Edwards, Obama, McCain or Romney. Since the focus on the 2008 presidential election has shifted to candidate fund-raising lately and because legislation about moving presidential primaries is going through state legislatures, things are at a bit of a standstill. With that said, I thought I would take a step back and archive all the moves states have made or are making. I'll break this into several parts depending upon the actors behind the moves in each state. For the most part, state legislatures make the decisions to move primaries, but state parties, governors and/or secretaries of state can have a say as well. 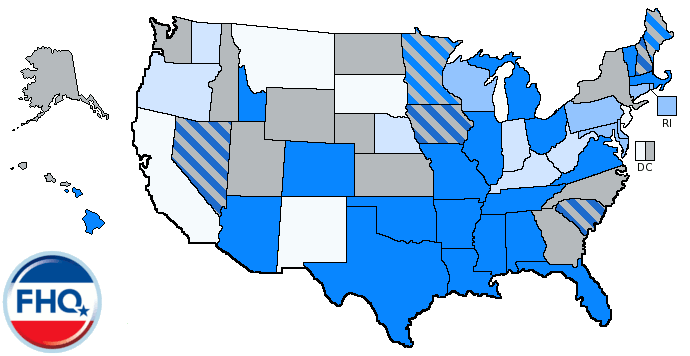 In this post I'll look at the actions of state legislatures to move these primaries and in subsequent post(s), I'll examine the actions taken by (mostly) state parties to move presidential primaries or caucuses. HB 51 passed both houses of the Alabama legislature during the 2006 session, changing the date of the state's presidential primary from the first Tuesday in June to the now-crowded date of February 5. After being a state at the head of the frontloading movement for all three presidential elections cycles during the 1980's, Alabama reverted to its pre-1980 position in June for the 1992 cycle and has been there ever since. This original proposal for HB 51 had the primary moving to the Saturday after the New Hampshire primary (February 2), but that portion of the bill was edited to read February 5. With more states pushing to the front of the line recently though, talk about that Saturday before February 5 has been revived. The Arkansas legislature was the first to act after February 5 became the opening date of the window in which both parties require presidential primaries to occur. SB 235 made it through the legislature during its 2005 session and was signed into law by Governor Mike Huckabee in March of that year. California is the big delegate prize for both parties during a presidential nomination, and when the state changes the date on which its primary is held, it is news. The date of the 2008 primary has changed twice since the last cycle though. One move made more news than the other. Primaries have been held on the first Tuesday in March since the 2000 cycle in California, but a 2004 law (SB 1730) switched the state's primary back to its traditional, pre-1996 position (the Tuesday after the first Monday in June). This was news simply because the biggest state was breaking with the trend of increased frontloading. As more and more states moved or considered moving to February 5 though, the California legislature decided not to sit idly by. On January 22, 2007, SB 113 was introduced, changing the presidential primary date from June to February 5. The bill was signed into law in late March, fundamentally altering the outlook of the 2008 nomination contests in both parties. During the 2006 legislative session, the Louisiana State Legislature passed HB 1307 which was later signed in to law (Act 845) by Governor Kathleen Blanco. The act changes the date for the state's quadrennial presidential preference primary from the second Tuesday in March to the second Saturday in February. For the 2008 cycle that puts Louisiana's primary just four days after the February 5 super primary. As I mentioned in a post last week though, some legislators are considering moving to an even earlier date because of all the clustering on the Tuesday preceding the state's primary. If Louisiana does move again, it will join New Jersey and California as a state that has moved its presidential primary twice since the 2004 cycle. In July 2005, New Jersey moved its 2008 presidential primary from the Tuesday after the first Monday in June to the last Tuesday in February (A30/S550). * However, once momentum built behind the idea of February 5 as a de facto national primary day, New Jersey jumped on the bandwagon and acted (A4010/S2193). That bill was signed into law earlier this week as described here. *Bill histories for these bills can be found by doing simple bill searches on the front page of the New Jersey legislature's website here. A.6430/S.3544 (thanks to nycowboy.org for this link via the New York Legislative Retrieval System) were passed by the New York Assembly and Senate respectively on March 21, 2007. The plan calls for moving the presidential primary in New York from the first Tuesday in March to the first Tuesday in February. As described in an earlier post, the bill now awaits the signature of New York governor, Eliot Spitzer. UPDATE: Governor Spitzer signed into law the above law on April 9, 2007. 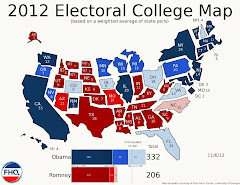 In Connecticut, a plan to move the state's presidential primary to February 5 (or the first Tuesday in February) for 2008 and all subsequent cycles was introduced to the Senate in the for of SB 1184. As of April 16, the bill had made it out of committee on the Senate side and was added to the chamber's calendar for consideration on the floor. The Florida House recently passed HB 537, which calls for Florida's 2008 presidential primary date to be moved from the second Tuesday in March to the first Tuesday in February or the Tuesday after the New Hampshire primary; whichever date comes first. This sliding scale is in place unless the earliest date falls on a day earlier than the second Tuesday in January. HB 487 passed the Georgia House of Representatives on March 20, 2007 (see previous post). 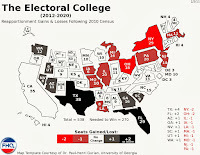 The plan calls for moving the 2008 presidential primary from the first Tuesday in March to February 5 and then to fall on the first Tuesday in February in subsequent cycles. As of march 27 the bill had been read and referred to committee in the Senate. HB 0426 was passed by the Illinois House on March 28, 2007 and has been read and referred to committee in the Senate. The bill changes the state's 2008 primary from the third Tuesday in March (a date that has been used since the 1970 off-year primaries) to the first Tuesday in February. Kansas is attempting to have in 2008 its first presidential primary since 1992. Current law allows the secretary of state to set the primary on a date on or before the first Tuesday in April in which at least five other states are holding delegate selection events. In the past that has typically meant that the state of Kansas has fallen back on the default first Tuesday in April date. Currently, there are two proposals at various stages of the process. SB 310 eliminates the the portions of the code referring to the secretary of state and simply calls for the permanent institution of a presidential primary on the first Tuesday in April. This plan, however, has been bottled up in the Senate Elections and Local Government Committee since hearings on February 14, 2007. The plan that has more support behind it is SB 320, which retains the secretary of state provisions in the current code and reduces to three the number of states that must hold delegate selection events on the same date. SB 320 unanimously passed the Senate and was introduced and referred to the Appropriations Committee in the House in late February of this year. The two dates cited most by state legislators in this scenario are January 29 and February 5 with the latter being the most likely. As of April 6, 2007, the Kansas legislature had failed to act any further, with both chambers generally supporting the idea but not the financial obligation attendant to a presidential primary. Advocates of the presidential primary plan on renewing their effort to include funding in the budget when the legislature reconvenes for its "wrap-up" session at the end of April. HB 1434 and SB 1025 have passed their respective chambers in the Maryland General Assembly and have been referred to the opposite chamber and introduced to committees there. According to the bills' histories (here and here), the plan to move the state's presidential primary from the first Tuesday in March to the second Tuesday in February has wide support in both chambers. The bill was re-referred to the House Ways and Means Committee and was due for a hearing there on April 5. HB 797 allows for the secretary of state to set the date for the presidential preference primary in February or March of 2008. This bill was passed by the Montana House and transmitted to the Senate on March 29, 2007. Currently the bill is being considered in its second committee on the House side and first committee in the Senate. North Carolina's Senate is considering a bill (S 168) that would permanently move the state's presidential primary from the first Tuesday after the first Monday in May to the first Tuesday in February. The bill was referred to the Senate Judiciary Committee on February 14, 2007 and is still being considered there. At this time there no similar bill has been introduced in the House. HB 2084, like the bill in Montana, leaves the decision as to the date on which the presidential primary is held up to the Oregon secretary of state. As of March 28, 2007 the plan had passed the House Elections, Ethics and Rules Committee. Here is the bill's history to this point. Pennsylvania has several bills circulating both chambers of the General Assembly there. SB 516 has been referred (on March 19, 2007) to the Senate State Government Committee and sets as the dates for the presidential primaries in 2008 and 2012, March 4 and March 6 respectively. HB 289 permanently moves the state's presidential primary from the fourth Tuesday in April to the second Tuesday in February (the 12th in 2008). This bill was sent to the House State Government Committee on February 7, 2007. Like SB 516, HB 63 shifts the date called for in the existing state code concerning primary elections to March 4, 2008. On January 30, 2007 HB 63 was referred to the House State Government Committee. H 5636 and S 740 both call for moving the Rhode Island presidential primary for 2008 and all subsequent cycles from March 18* to February 5. Each bill has been introduced and referred to the Judiciary Committee in their respective chambers, but the Senate, where the bill was first introduced, has been the first to act. The Senate Judiciary Committee has a hearing on the matter scheduled for April 10. No similar action has been taken on the House side as of yet. *Both bills cite March 18 as the 2008 primary date when in the past the Rhode Island primary has been held on the first Tuesday in March. This runs contrary to where most sources have the state's primary for the 2008 cycle. HB 2211 would move the 2008 presidential primary in Tennessee from February 12 to February 5. The Tennessee House passed the bill by a vote of 91-2 on March 22, 2007. The bill's version in the Senate (SB 2012) has been referred to the State and Local Government Committee and is on the calendar there for April 10. The legislature's website will not allow a direct link, but searching for either of the bills referenced here will give you a detailed history of their paths through both chambers. As I discussed in my post late last week, a bill to move Texas' 2008 presidential primary had passed the House Elections Committee. Though there were other bills (HB 993 and HB 996), HB 2017 has been the only one to get out of committee. * The plan in that bill calls for moving the state's presidential primary from the first Tuesday in March to the first Tuesday in February. As of April 4, 2007, HB 2017 had been placed on the House calendar for consideration on the floor. The bill's companion in the Senate (SB 1843), has been introduced and referred to the State Affairs Committee, where it has been waiting for action since March 19. *The "text" tab in the series of tabs running along the top of the page in the above links provides the bill as introduced as well as the bill's analysis from the Elections Committee report in the case of HB 2017. 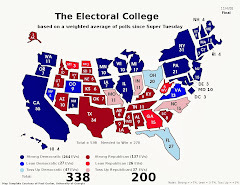 In a weekend dominated by the disclosure of the presidential candidates' first quarter campaign receipts, New Jersey governor, John Corzine, signed into law a plan (Bill S2193) to move the state's 2008 presidential primary to the increasingly popular first Tuesday in February. As CQ Politics reports, the state moved for the second time this cycle; first moving from the first Tuesday after the first Monday in June to the last Tuesday in February and then from that date to the first Tuesday after the first Monday in February. State lawmakers in New Jersey cited voting rights as their main motivation. The reason for the first move was to enhance the state's say in who the major parties' nominees are to be. With more and more states clustering on February 5 however, affecting the nominations appeared less and less likely. Of course, such a move can be seen as necessary only if one feels the nominations will be decided on or before February 5. If one is to believe the state legislatures and state parties making the decisions to move and the media, then the consensus appears to fall firmly behind that notion. However, if the picture is muddled as to which candidates remain viable after the de facto national primary on that first February Tuesday, then the February 26 date New Jersey initially moved to may have proven more consequential. Some of this thinking is reflected in the recent discussions in the Maryland legislature to move the state's primary to the week following the fifth.